"I understand that for most people the purchase or sale of real estate represents their greatest asset and I treat it as such with respect. I provide my clients with expertise, strong negotiating skills, and support during the entire process and frequently beyond. I thoroughly enjoy real estate and make every effort to ensure each opportunity is a successful stress-free experience for everyone. I measure my success based on my clients' satisfaction which is shown by their continued support and loyalty through their willingness to refer me to their friends, family and business associates. I love what I do and it shows." 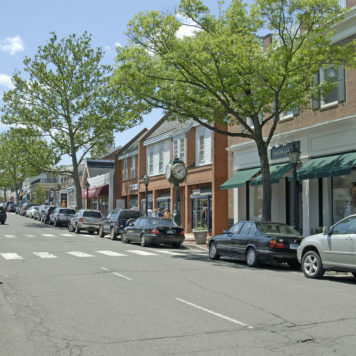 I grew up in Fairfield County and attended St. Lukes School in New Canaan. I graduated from George Washington University and shortly there after started my life long career in sales. Prior to real estate, I had extensive corporate sales with Xerox managing multi-million dollar budgets with fortune 100 companies. For me the transition into Real Estate sales was natural. I have six plus years experience achieving the "Chairman's Club Award" designation. As a twenty year residentof New Canaan, my husband Jim, a native, and our two daughters Emily and Katherine, both of whom attend the New Canaan High School, are fully invested in New Canaan and all that living here provides. We do, as a family, also make every effort to get involved in opportunities that each town in Fairfield County offers. Volunteerism through out Fairfield County is both rewarding and necessary to maintain a healthy community and a healthy respect for our peers. I am very involved in the community with organizations such as the Girl Scouts as a leader for over 12 years, held various positions with our PTC, acted as liaison from South School to the NC Board of ED for Special Education, and served on the Board of Directors for the United Methodist Nursery School. Currently I am a member of the United Methodist Church, the Field Club, Young Life and the Center for Hope. 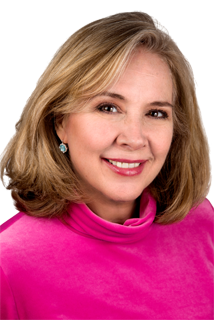 My professional affiliations include New Canaan Board of Realtors and the Connecticut Multiple Listing Service.